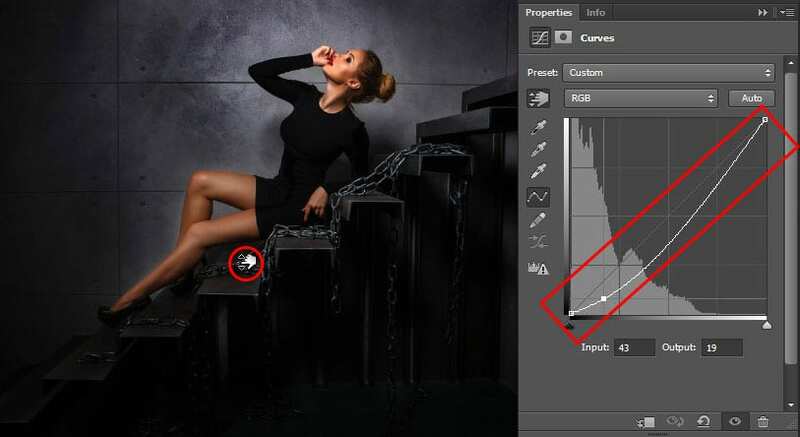 Do you want to add contrast to your photos? Some images need a dodge and burn effect to add a combination of lightness and darkness. In this article, we will show you how to add contrast with dodge and burn in Photoshop. If the Adjustments panel is not visible, you can go to Window » Adjustments. In the Curves settings, you should pick the drag tool (hand-shaped tool). You’ll need to click on the lightest color of the skin. Simply drag up to enhance the light color of the skin in your image. 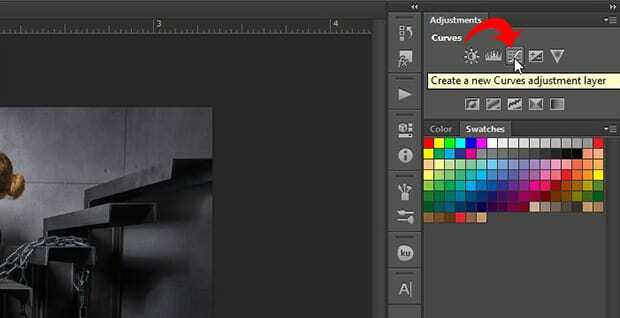 Next, click on the layer mask of the Dodge layer in the Layers panel and press Ctrl + I. It will inverse the color of the layer mask. Like you did with the Dodge layer, pick the drag tool, but this time click on the darkest area of the skin. 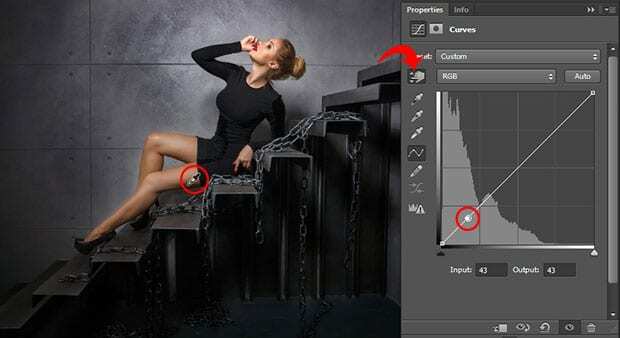 Drag the cursor down to enhance the darkness in your photo. 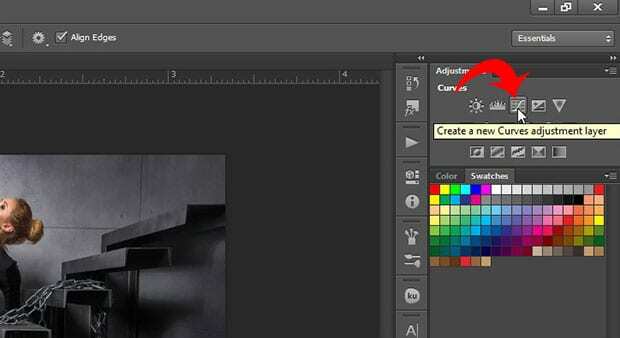 Go ahead and click on the layer mask of the Dark layer in the Layers Panel. Press Ctrl + I to inverse the layer mask color. In the next step, choose a large brush with 0% hardness. Set the brush color to white. Now, select the Dodge Layer in the layers panel. Set the opacity of the brush to 20%. Then brush the face over areas you want to lighten, like the forehead, nose and chin. You should cover the details of eyes, lips, and the ridges under the nose. Next, select the Burn layer in the Layers panel, and brush over the areas you want to darken, like the cheekbones, hairline, and jaw to add more contrast. Work on the details like the eyelashes, brows, and contours of the lips for a beautiful result. Lastly, you should change the blending mode of the Burn layer to Multiply. 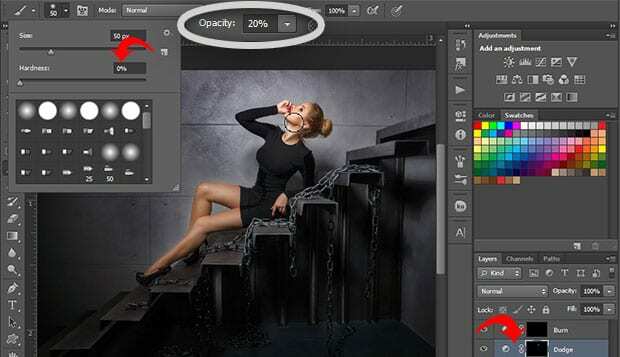 You can also increase or decrease the opacity of the Dodge and Burn layer. 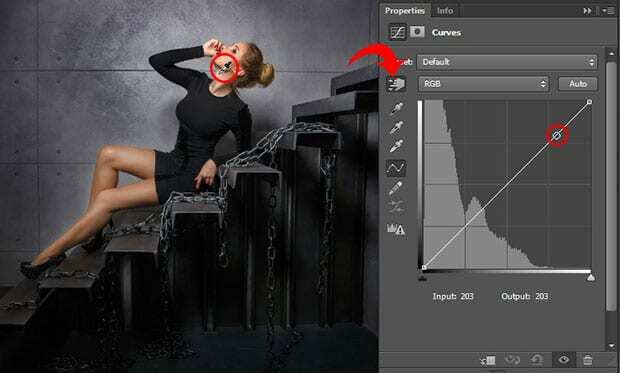 We hope this article has helped you to learn how to add contrast with dodge and burn in Photoshop. You may also want to check out our guide on how to add faded film look to your images in Photoshop.